The statement came a day after the Chinese military accused the Indian army of stopping the construction of a road in what it claims to be China's "sovereign territory" in the Sikkim section of the India-China border. Beijing: China has justified the construction of a road in Sikkim, claiming that the area is "undoubtedly" located on its side of the border as per the 1890 Sino-British Treaty. "According to the treaty, 'zhe' is the ancient name of Sikkim," China's Foreign Ministry spokesman Lu Kang claimed. "As per this treaty, the area over which the Indian Army has raised objection is undoubtedly located on the Chinese side of the border," Mr Lu claimed yesterday. Mr Lu said that the Sikkim segment of the China-India border was recognised by both China and India. "Indian leaders, the Indian government-related documents, the Indian side in the Sino-Indian boundary issue Special Representatives meeting confirmed that the two sides signed the treaty in 1890, the 'Sino-British treaty' and the China-India boundary of Sikkim to have the direction of a consensus," he said. "Compliance with these treaties and documents is an international obligation and not to be shirked by the Indian side," he accused. 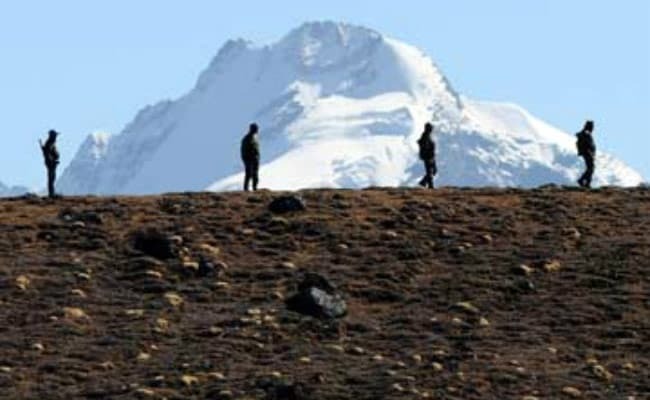 A Chinese foreign ministry statement, issued on Monday night, alleged that "the Indian border guards crossed the boundary in the Sikkim section of the China-India border and entered the territory of China and obstructed normal activities of the Chinese frontier forces in the Donglang area recently, and the Chinese side has taken counter-measures." On Tuesday, Mr Lu said that China has lodged a diplomatic protest with India accusing Indian troops of "crossing the boundary" in the Sikkim section and demanded their immediate withdrawal. He also admitted that the reason why China shut the Nathu La pass entry for Indian pilgrims travelling to Kailash Mansarovar was because of the border standoff. A strongly-worded article was also posted on the website of China's state-run Global Times on the issue. It read, "Indian troops' provocation brings disgrace to themselves" and they should be forced to retreat "by all necessary means". "The Indian government made no objection to the Sikkim section of the China-India border. Allegations of intrusions along the western section of the China-India border often emerge, but face-offs in the Sikkim section are rare. The Nathu La pass in Sikkim was reopened in 2006, because there is no border dispute between China and India over this area," the article stated. "It remains unclear whether this flare-up is...a tentative strategic move made by the Indian government," it alleged. "Whatever the motive is, China must stick to its bottom line. It must force the Indian troops to retreat to the Indian side by all means necessary and China's road construction mustn't be stopped," the article stated. "As the China-India boundary has not been demarcated completely and the two countries have a different understanding about the Line of Actual Control, troops from both sides often stray across in some areas," the article stated. Accusing India, the article boasted that "China avoids making an issue of the border disputes, which has indulged India's unruly provocations. This time the Indian side needs to be taught the rules." The article also claimed that India "lags far behind China in terms of national strength and the so-called strategic support for it from the US is superficial." Though at the end, the article stated that China does not wish to confront India. "Maintaining friendly ties with New Delhi is Beijing's basic policy," it claimed.